You know how creative people like to have others around them? Well actually how most people like to have some type of support system? 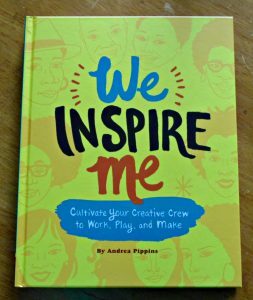 We Inspire Me: Cultivate your Creative Crew to Work, Play and Make by Andrea Pippins is all about reaching out to the people in your life now, or those that you cultivate, in order to help you work, play and make. 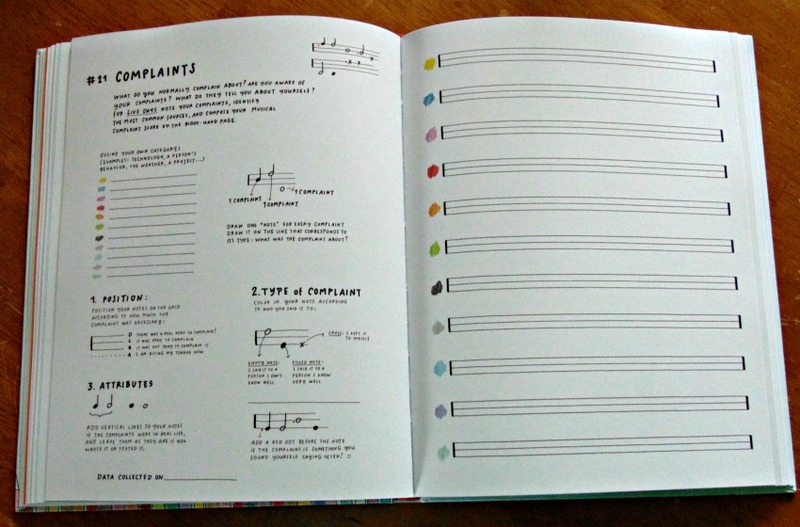 Although this book focuses on building your CREATIVE community, the lessons contained within the pages are for anyone who just wants to expand the number of people in their lives. 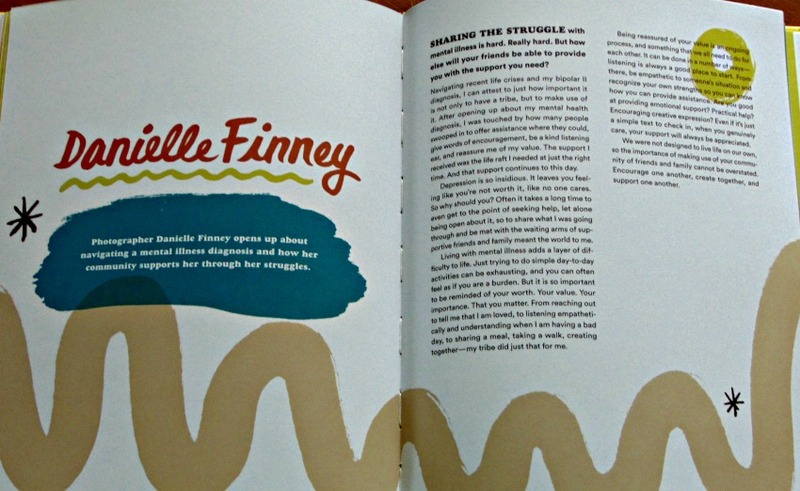 Andrea Poppins brings together stories, essays, illustrations, advice and tips related to the importance of building and nurturing one’s creative community. It is important to surround yourself with people that want to see you excel and thrive. 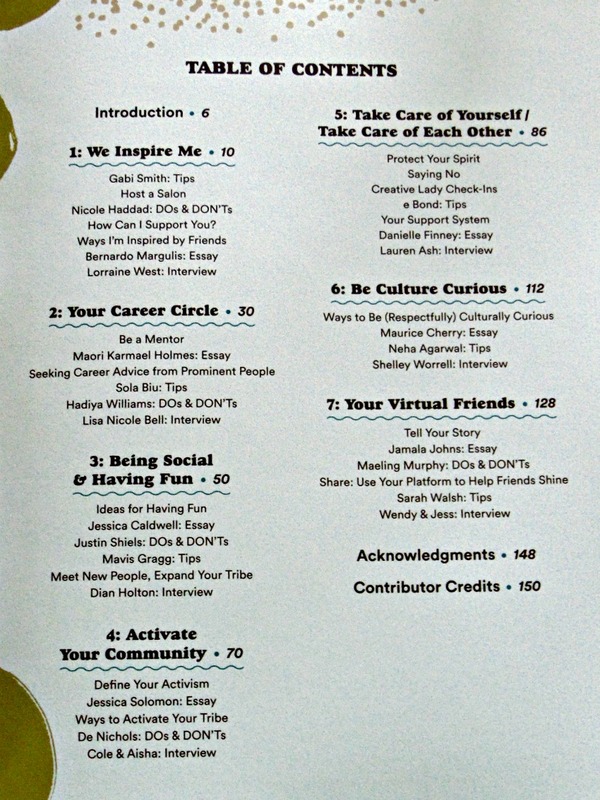 This is not a how to book, this is a tips and suggestions books with stories to inspire you to make connections with those around you. 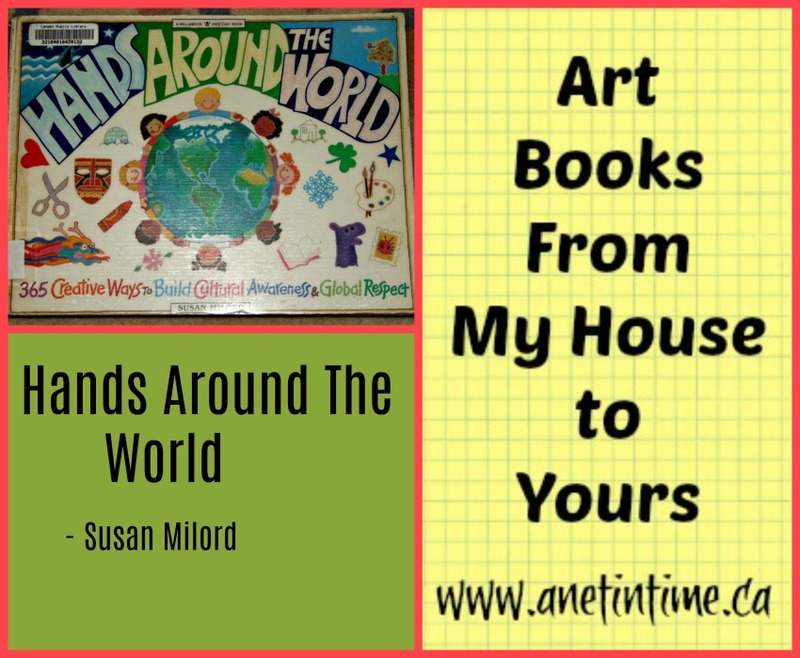 As you turn the pages you will notice the bright and colourful designs. You’ll find a mingling of pinks, browns, yellows, and blues. 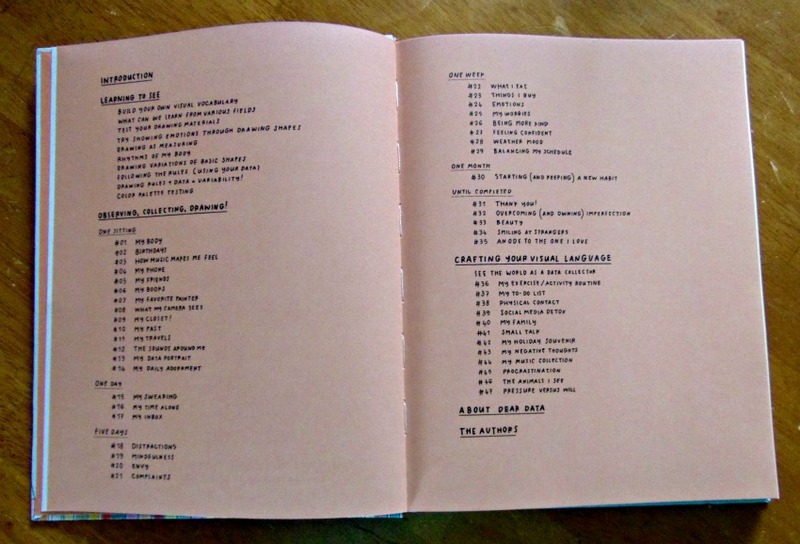 The title pages are clearly delineated with a write up telling you what’s important in this section. 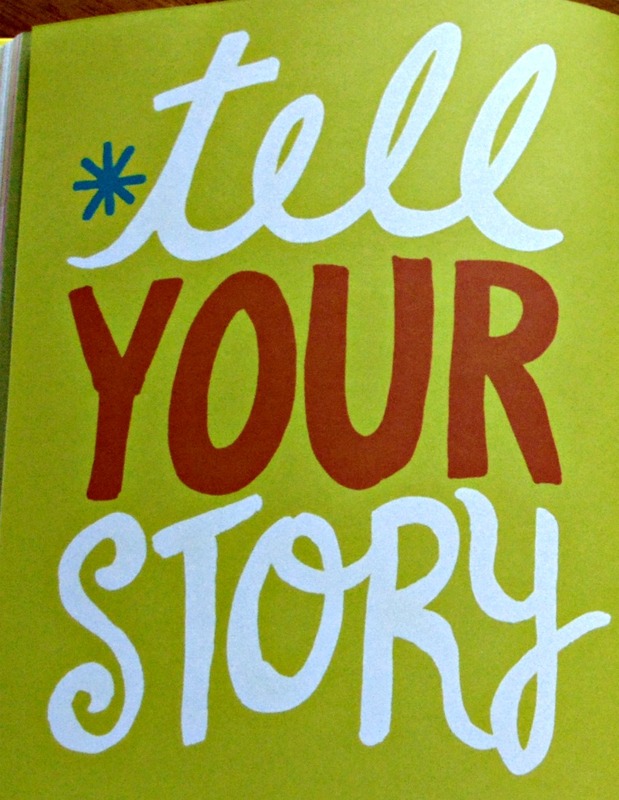 Each individual who tells a story is enabled to do so with interesting fonts and important lessons. Lessons span topics such as sharing stories about dealing with mental illness, to how to find people with common interests, different formats to bring people together, how to celebrate each other’s creativity and more. I was talking with Lisa the other day and she was telling me about different groups that she is part of. Her accountability groups and mentoring groups and such like. 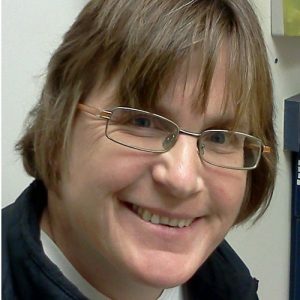 Some she paid to be part of, and others she chose to start. And I have to admit, as an introvert, trying to figure out how to start a group and be able to chat with different people about ideas is difficult, even if it is on-line. It’s so easy to get lost in the conversation whether it’s in person or on-line. I don’t quite get how one does it. Books like these help. I don’t think a tribe of one or two is what this book is calling for though eh? A tribe implies more than just one or two. 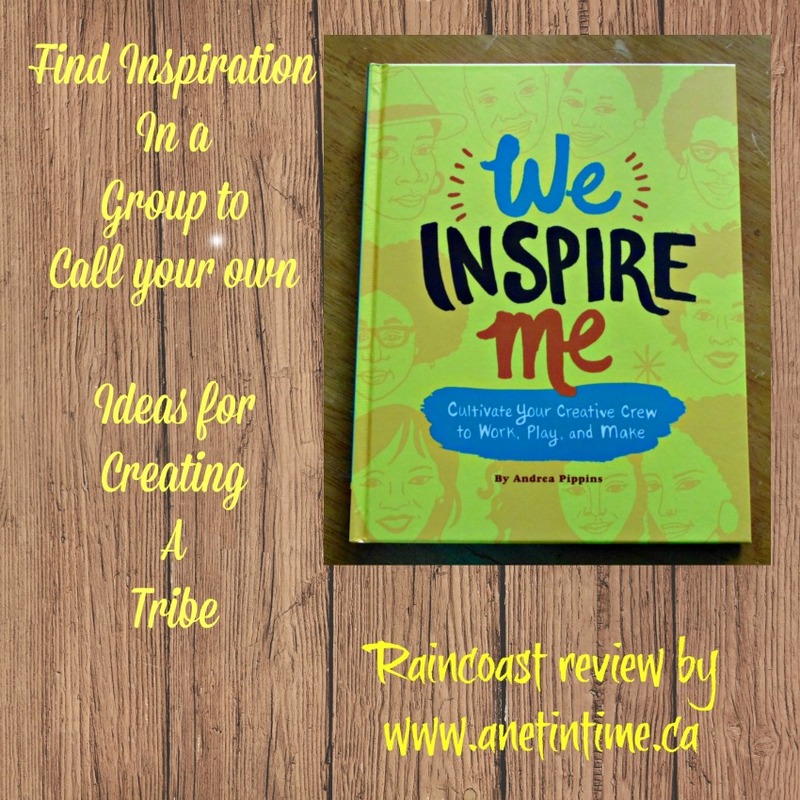 I can see the advantage of having a variety of people with differing skills as part of your group, and how it is vital to inspiring one’s own creativity. We can inspire each other. This book talks about that though, how an introvert who prefers stick to the quiet things, can push past that to attend events that lead to friendships. It’s good to do that eh? To take that risk and try it something new out. 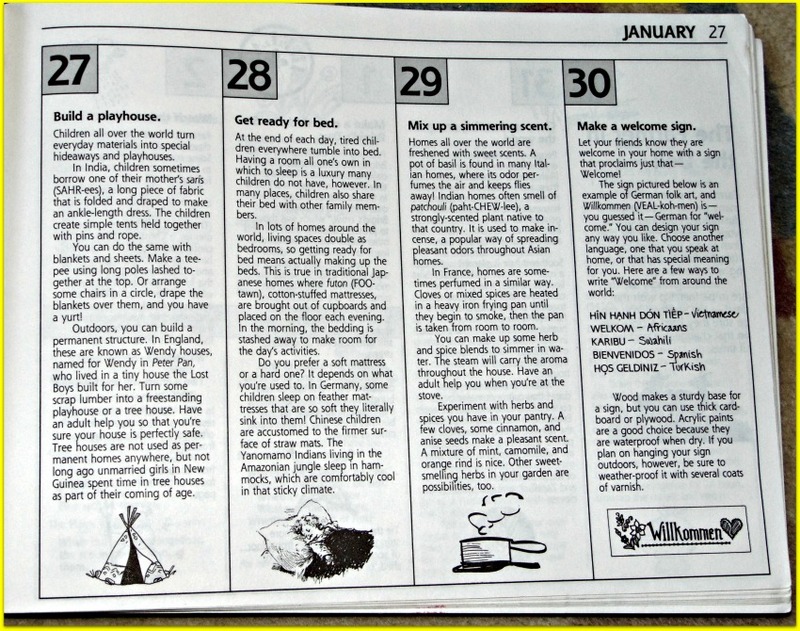 Wine Tasting, Team sports, paint night, go out for brunch with at least four people, throw an event that YOU would be interested in, bring a business card to a meeting (maybe 5-7) and make a goal of passing them out before the night is through and you can start a neighbourhood project… perhaps you need a new park or art centre? Who knows the people you will meet along the way. Might be your new best friend or just the person you need to inspire you to greater heights in your life. You just never know if you don’t take the chance. 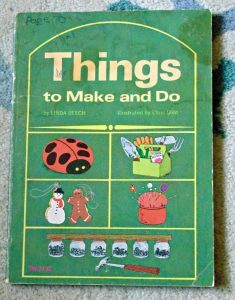 As you can see from my image, my copy of Things to Make and Do is a bit battered and stained. 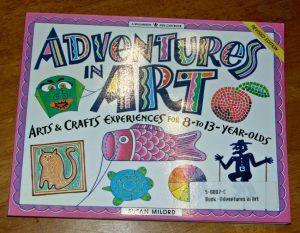 Although this small book doesn’t have any many crafts in it as some do, I like it because it has projects in it that I haven’t found in most other craft/art books. Let me take a moment to tell you about this helpful book. 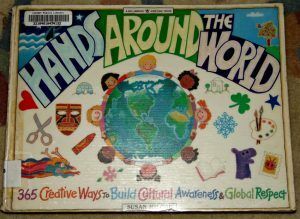 Produced by Scholastic Services, this almost 80 page book contains about 40 projects. 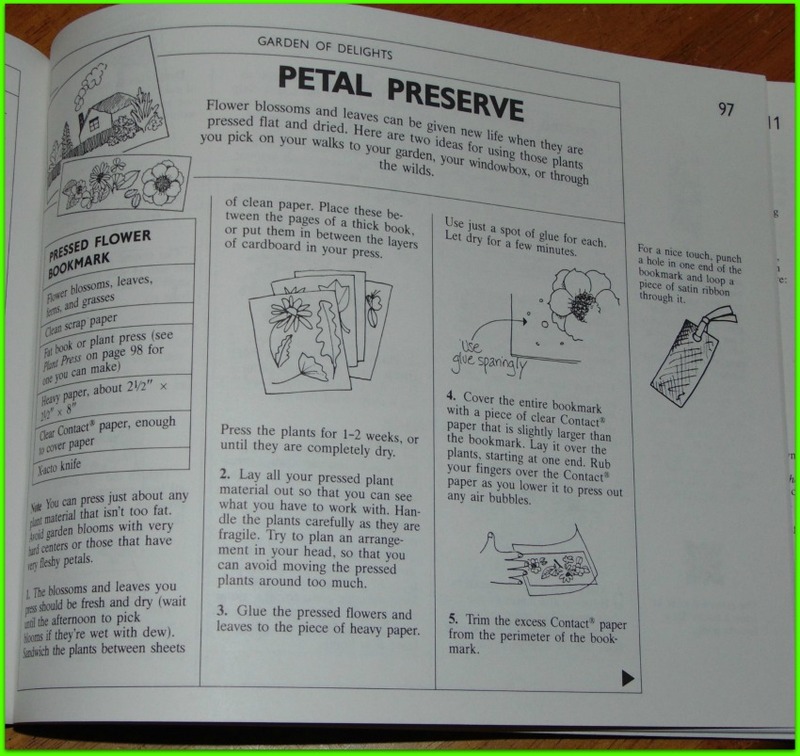 These range in difficulty from easy (book marks) to hard (prickly vase). 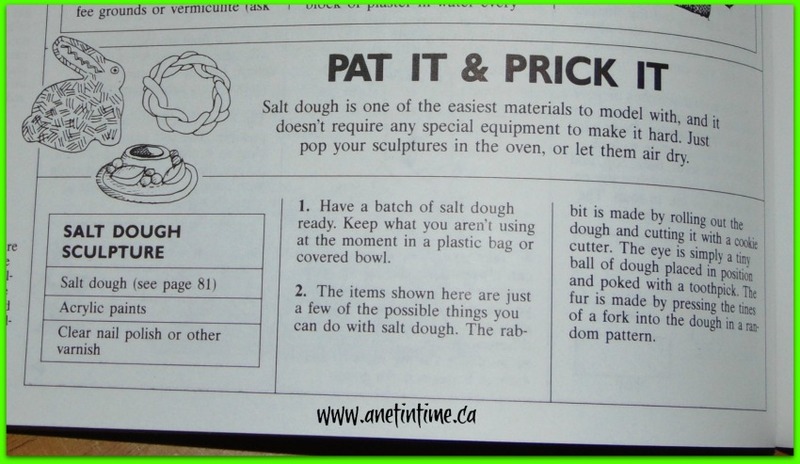 Well written instructions help the maker complete their projects well. 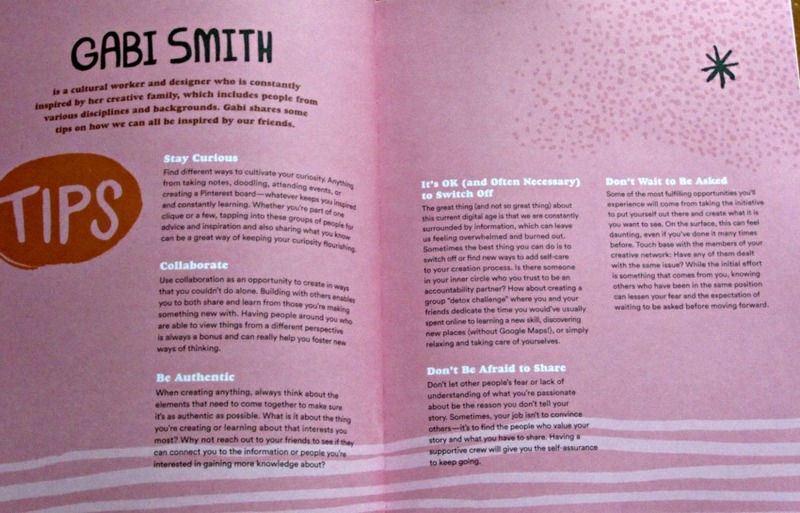 Part of the author’s goal is to help the young makers design and create projects they may be able to sell. 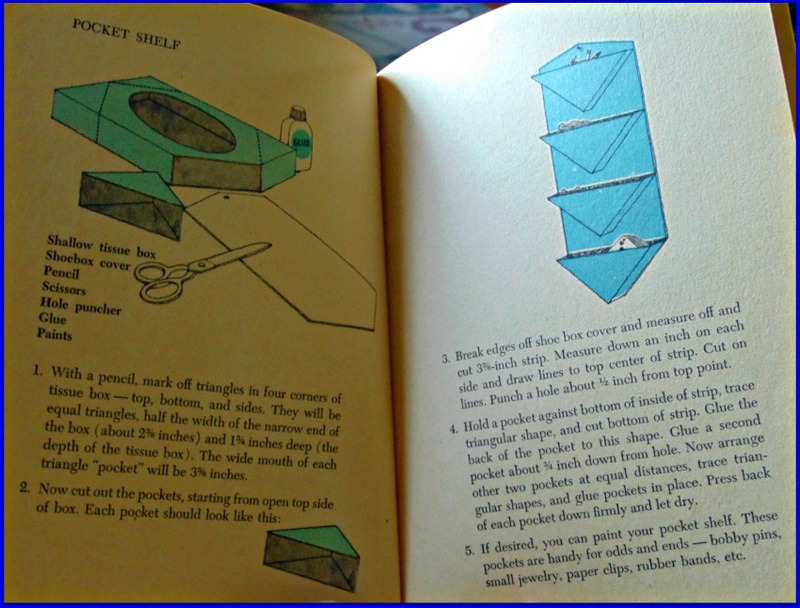 To that end she enclosed a small section at the close of the book to assist them in their endeavors (things to do). 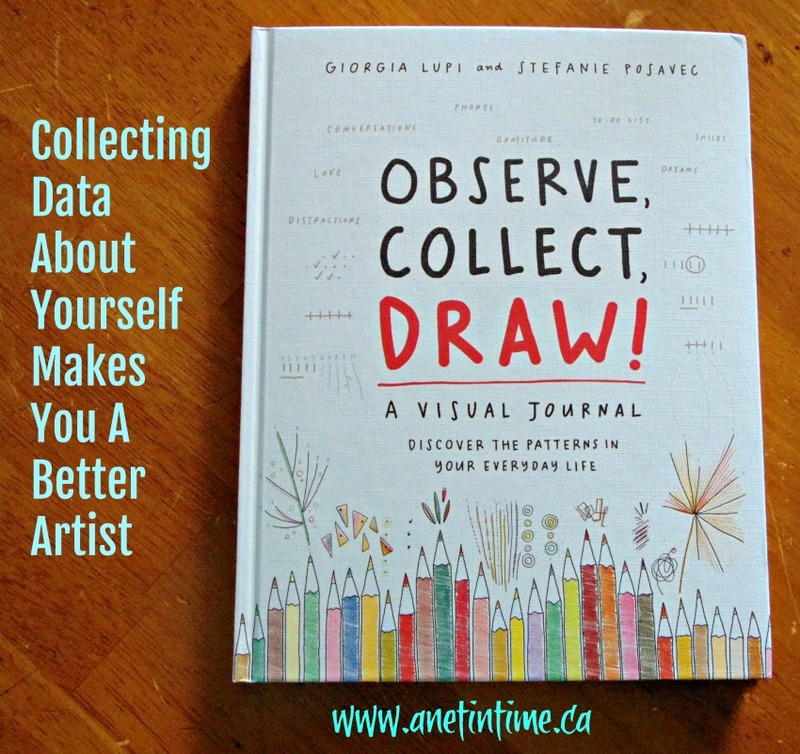 Illustrator Ethel Gold provides simple drawings to guide the maker in their projects. Some of the projects look remarkably simple, but their complexity is see as you go through the steps to make them. The projects use items often readily found around the house, I didn’t run into anything I didn’t know what it was. I have to admit, I did need to research what crafting wax is. I’d heard of it before but wasn’t sure what it looked like. Now I know more eh? I mentioned a couple of the projects to my lad and he thought they sounded good to make. “That could be helpful mom” and “do you think something like that I could sell?” It’s good to raise an entrepreneurial lad you know? This project made me think of how my mom likes to make cards. Designing them well for each person, the pride she takes in giving something personal to others. It’s cool to see and this project would be a good first step in helping a new generation learn the skill of card-making. 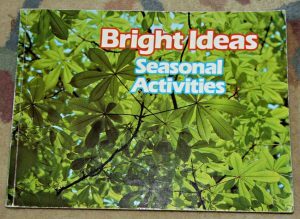 I grew up with Bright Idea books floating around with things to do with children. 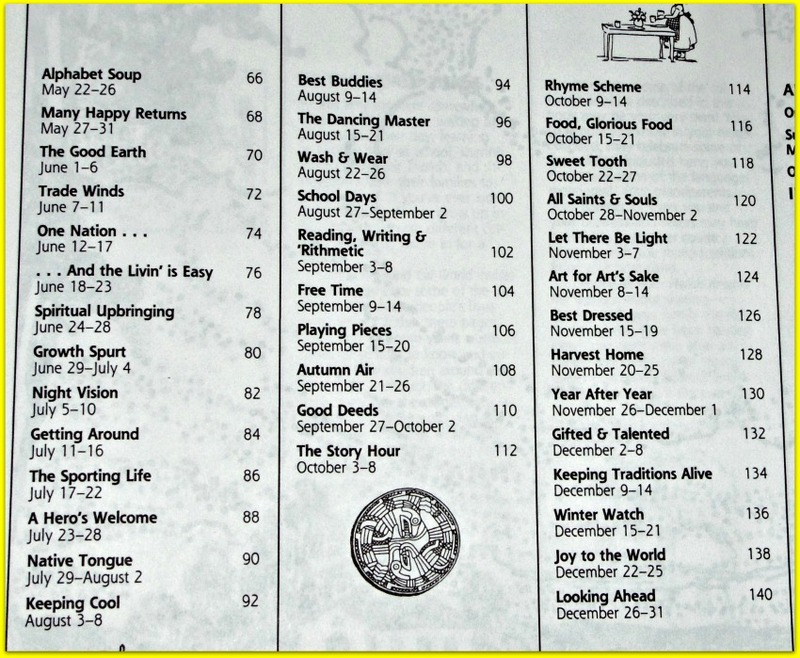 Published in 1984 they have been around a spell. 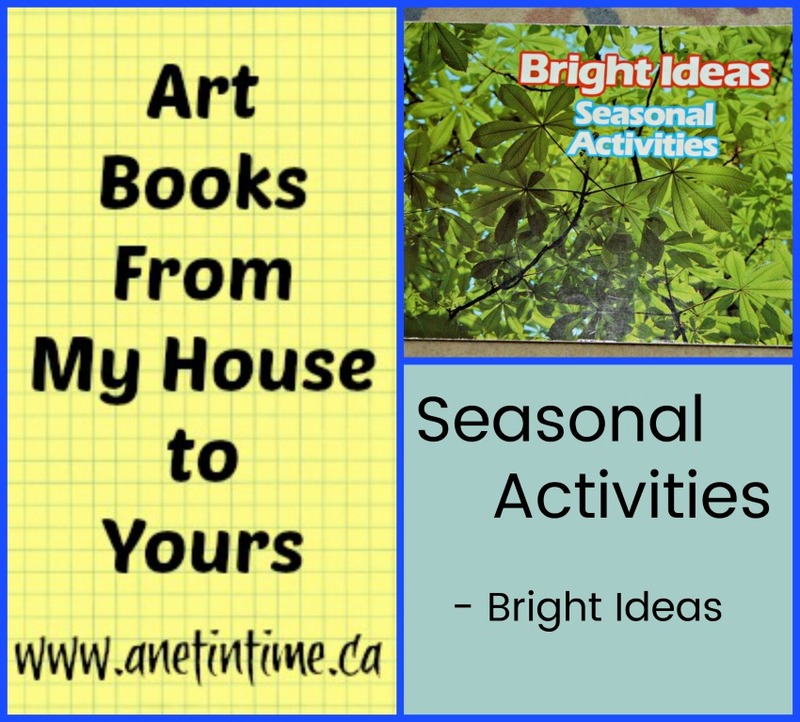 This particular book, Seasonal Activities, is filled with not just craft ideas, but with different things you can do with children throughout the different Seasons of the year. Seasonal Activities is divided into Four sections along with a reproducible materials section. 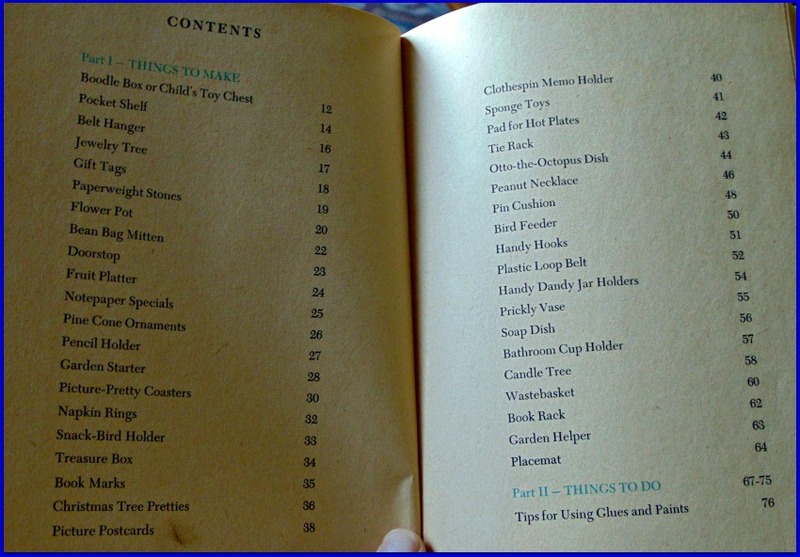 128 pages filled with over 150 activities to do for children 5 to 11. 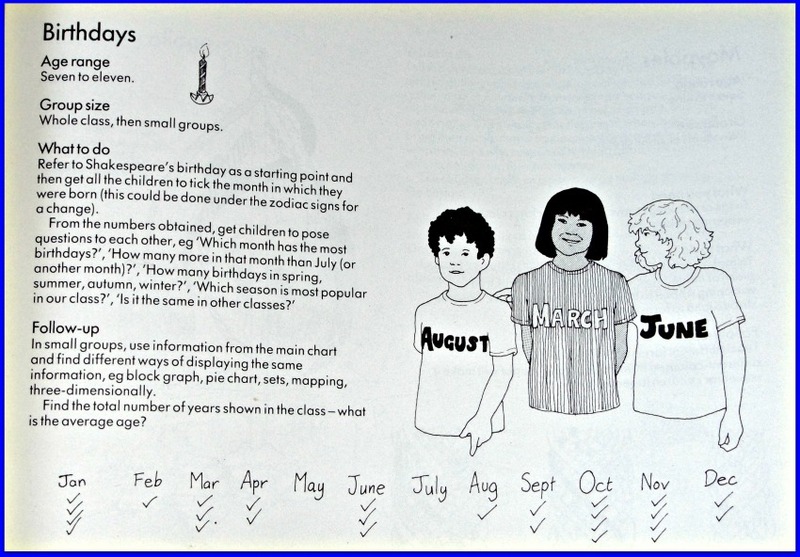 Each page lists the age range geared for, most often 5-9 or 7-11, with some variation, the type of activity, the size of group needed, and the supplies required. 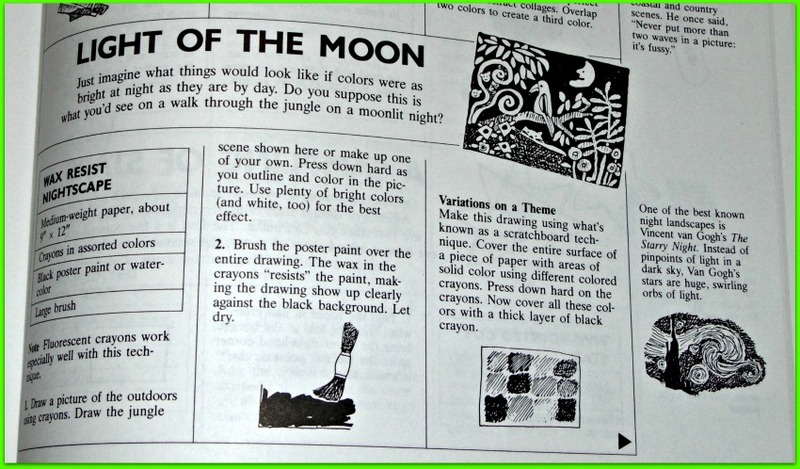 Each activity was previously published in the Scholastic Magazine, and as such has been tried and tested. 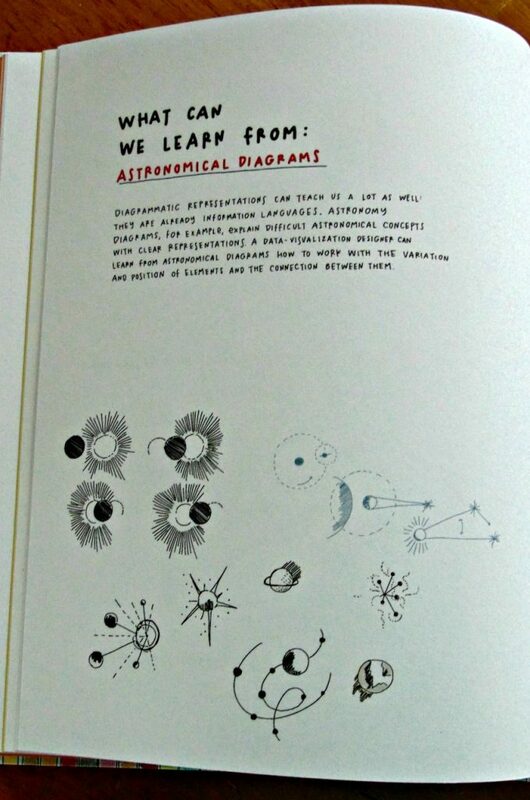 Simple black and white illustrations dot the pages. Even though my lad is 13 years old, I found activities that I will be modifying to use over the coming year as we study Canada and the wars. Things like travel study guides, radar mapping, cleaning barracks and more. Do they need to be adapted sure? It’s all part of the learning right? I love the sheer variety of things to do. 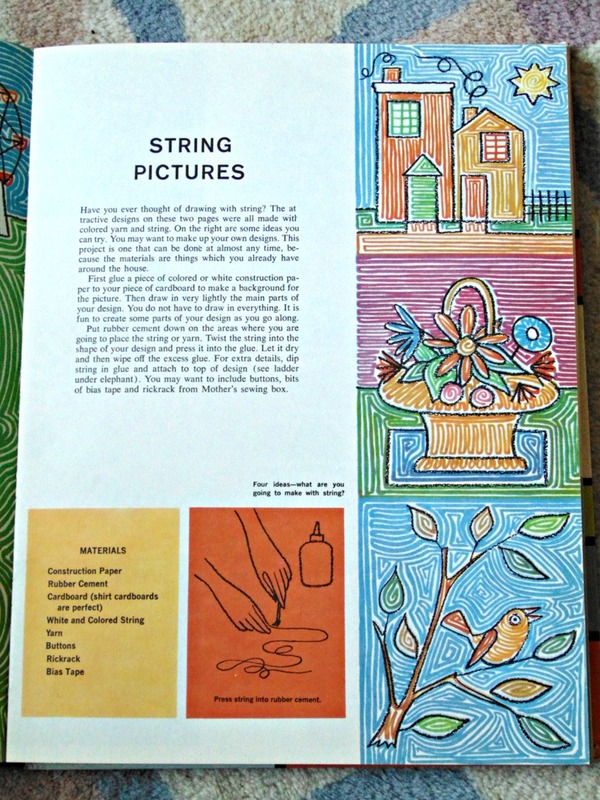 From kite-flying to building a collage. 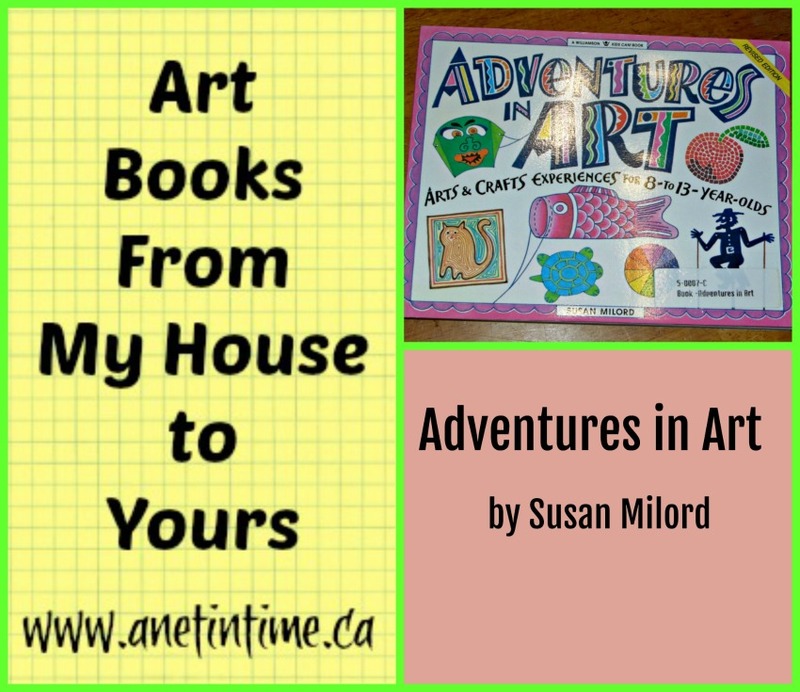 There are things to delight and entertain any number of curious, creative 5-11 year olds. With some modifications, they could even be used at hands-on, stem projects for older students as well. 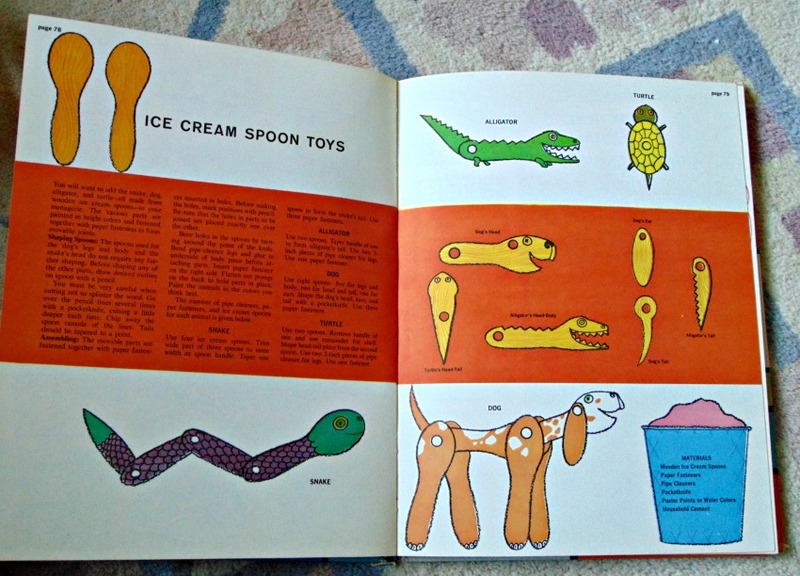 I can’t recall where I picked this book up or even if it’s a hangover from my childhood, all I know is that every time I go a cull of my art books and ask,”Do I REALLY need to keep this one?”, somehow this book ends up back on my shelf. 🙂 Ergo, I thought it was about time for me to share it with you. 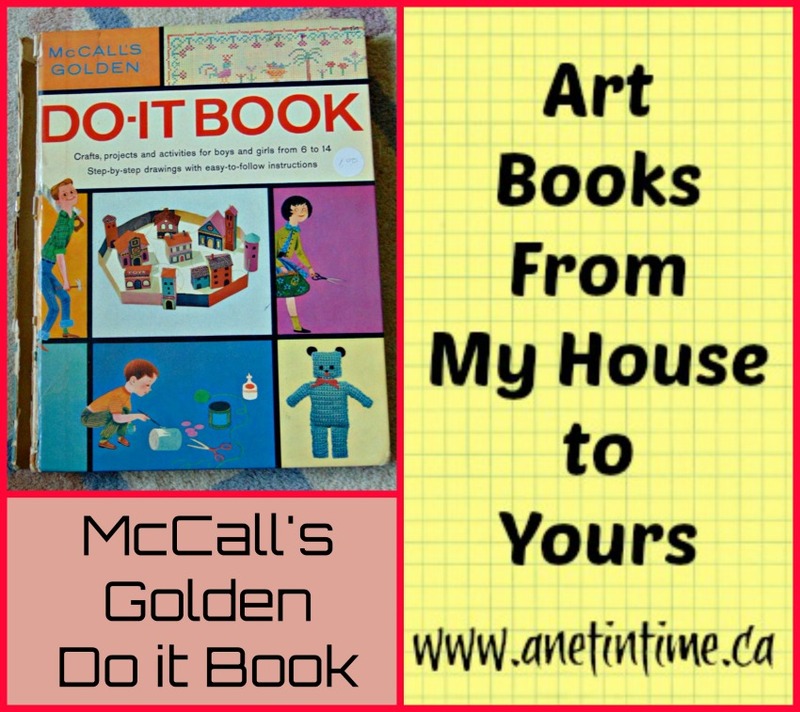 My copy of McCalls Golden Do-It Book is getting a bit battered, the spine is loose, the pages a bit worn, but still the ideas are as real as anything. 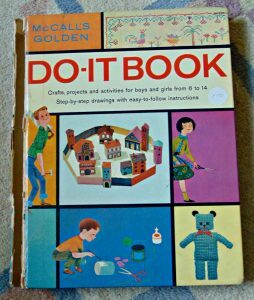 So much make and do within the pages of this book. A number of different sections divide up this tome. 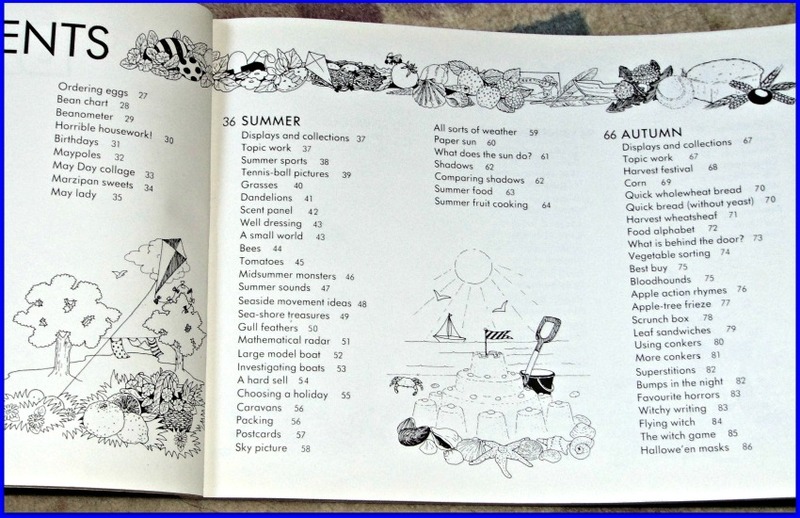 Each section containing 2-8 projects, great for children 6-14 years old. (or later if so inclined). 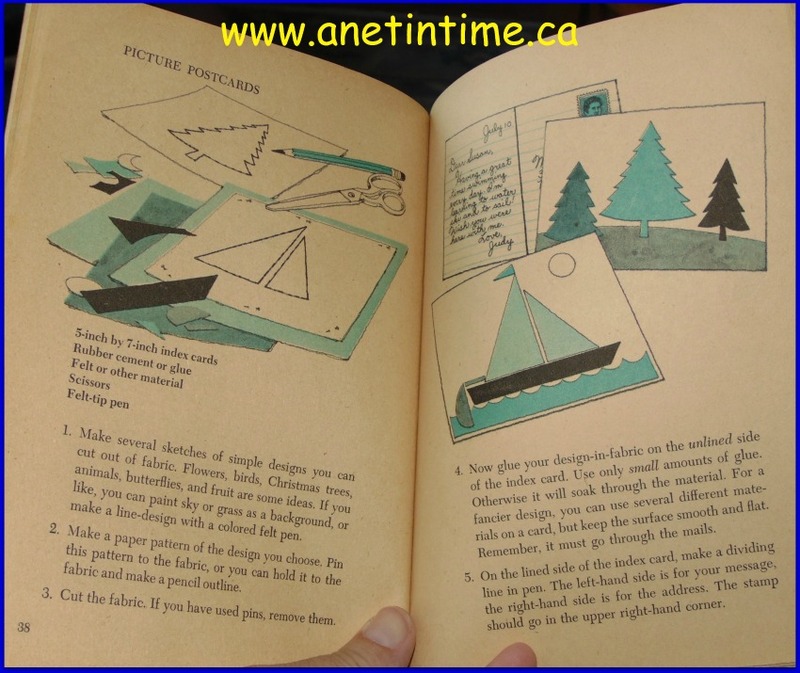 Littles might like to try their hand as well but will most likely need some older person’s help to make the projects turn out well. You may be wondering, have we even completed any of the projects? Well we’ve made cars and houses out of boxes, the lad for a while was big into paper craft, we’ve made boats and done some weaving. Do I have pictures? Um… no. That would have been on my hard drive (external) that crashed last year and we’ve been unable to recover the data. And well.. that’s that! One thing I do want to try yet with my lad is making a seed painting and a yarn painting. I just think they’d be rather neat to do and see what we could each come up with… or maybe I should save those ideas for co-op days. 🙂 Even to making sample kites to fly over enemy territory…hmm.. the ideas are endless. 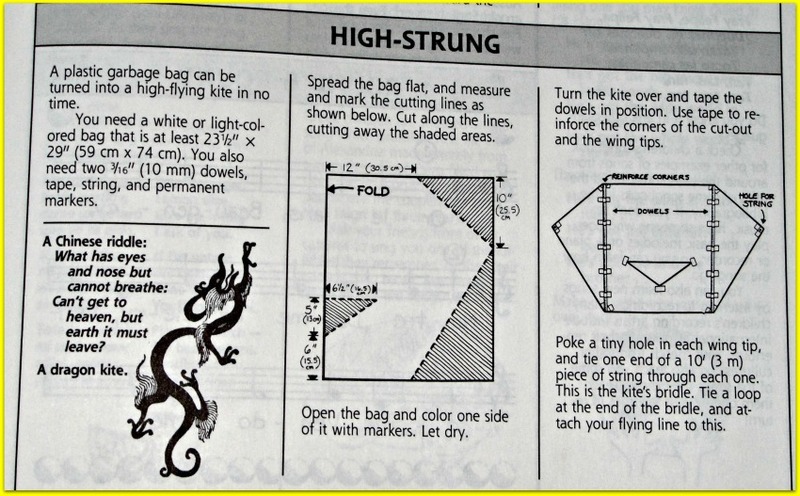 Some of the instructions could be a bit clearer and some items are used which aren’t as common today (for instance, I’ve never used rubber cement with my lad). I’ve not heard of excelsior… which when I google it is a woody twine all mixed together. Where to find I dunno. It does sound neat to play around with just to see what one could do with it. Most of the instructions are just enough while leaving the rest to common sense. Will it make the cut next spring? I dunno, we’ve done most of what we want to in it, so we may just need to pass it along to another family with a creative keener. 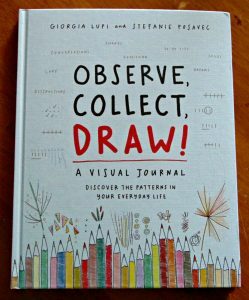 🙂 It’s a good book with oodles of images and ideas to go along with each art project. I can’t show you all the projects I’ve been looking at, but wouldn’t it be great to make salt dough maps of the different areas? Or even try to replicate a bridge or two? I’ve been thinking through some ideas about how to paint some of the scenes that my son is sure to run across. or even the idea of making a wind puppet to but I don’t know if wind puppets were used in the war to show where the wind was at. I”m guessing some variation of that would be used in the Second War, but possibly in the first as a warning about poison gas. I was thinking about how sometimes children would make small gifts to send to their fathers on the front and the idea of making a bookmark appealed to me. It might be interesting to see what the lad thought a dad far off would like to see from home don’t you think? Anyways, this book is just laden with ideas to choose from. 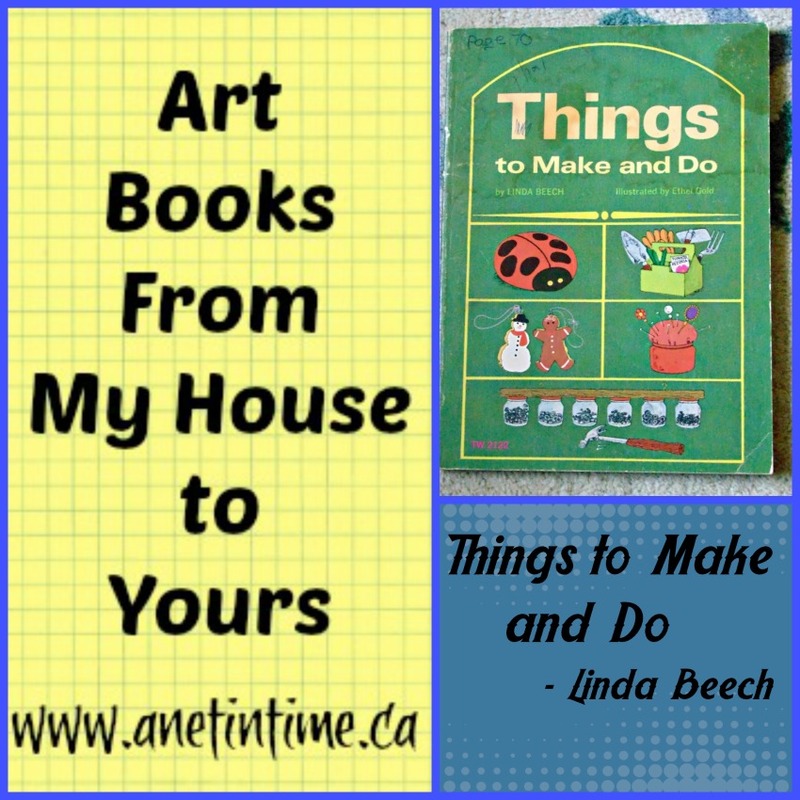 from making a banner, or a portable chess board, or even trying our hand at yard painting (instead of doing a salt dough map, do a yard painting one). It’s just fascinating the ideas I am finding. I’ll need to sound some of the off for the lad and see what he thinks. It will be fun don’t you think? 160 pages, 200+ art ideas. 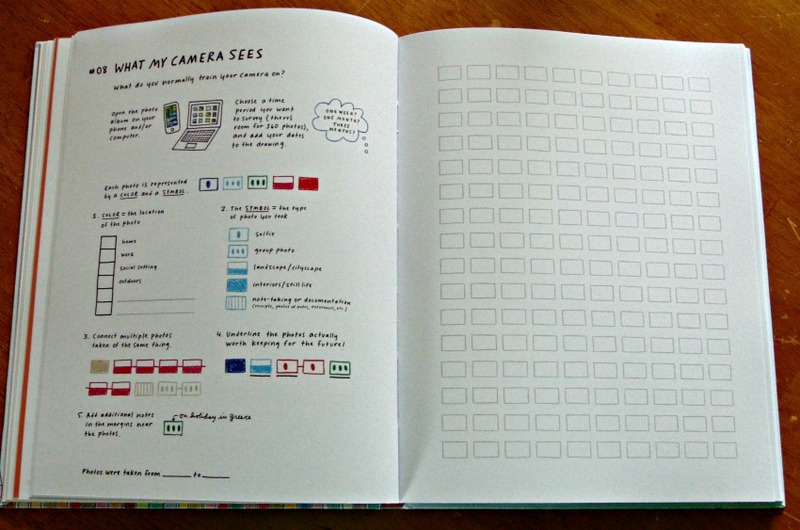 The first 16 pages are devoted to telling how to use this book. What do you think? Can we use this technique to do a night time war scene?